Today we are taking the ‘way back machine’ to the distant past of the year 1991. 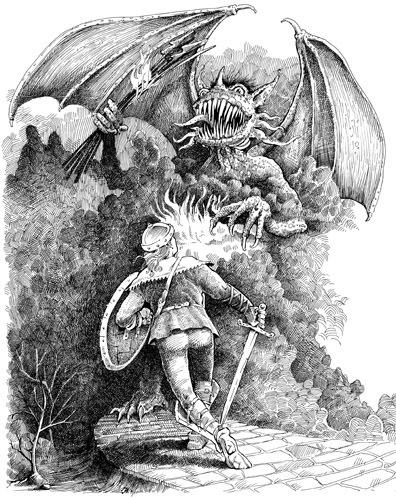 I was two years into freelancing at this point, I had landed a book illustration project from local publisher Eerdmans. You can read all about it, and see newly uploaded pictures of all the interior illustrations (the originals have long since disappeared) at this blog post. This would be the last Eerdman’s assignment I would get (and it was a good 3 years since the last contact I had with them). I rather enjoyed doing this spoof of the ‘Tower of Babel’ painting. 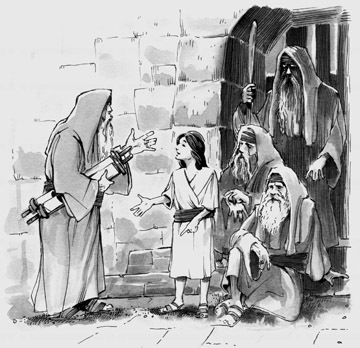 The original art has been lost to the winds of time, but I managed to get ahold of a copy of the book twenty years later (where this photo comes from). The book was laid out in a faux ‘newspaper style’ with articles and headlines and little factoids sprinkled around. Most of the illustrations inside were black and white line drawings with spot color added. 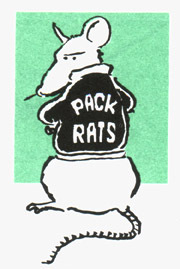 I remember going in to see the designer, and her having a fondness for my ‘rats’ (which I used as a continuing motif throughout the book), and her having little cut out snippets of them sprinkled all over her desk (this was back in the days of ‘paste up’ before computer aided design). I’m not going to bother sharing all the illustrations, as they were rather repetitive and very crudely drawn, but I’ll share a sampling of them to give you an idea of what the interior was like. Also this month, I had a couple book cover assignments for Baker Book House. 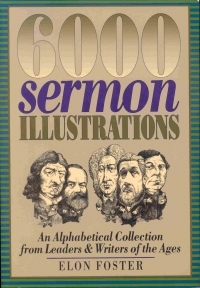 One was a caricature grouping for the cover of a book entitled 6000 Sermon illustrations (still available used on Amazon link here), and another was for the cover of a trade catalog. I found an image of the book cover online (pictured left), and I may or may not still have the original art for the trade catalog cover which I may post at a later date. I also had a pastel cover assignment from David C. Cook Publishing out of Colorado, but my records are spotty on this one, and don’t know the name of the book. After doing a few book projects for Eerdmans Publishing, a local firm, I was also asked to provide a few ‘sample’ illustrations for a couple other projects that never got off the ground (at least with me drawing them). The above illustration was for a ‘boyhood life of Jesus’ book, which was one of these ‘sample’ pieces. Another new magazine client in December, Institutional Investor, for which I did a full page scratchboard illustration (unfortunately the art has long since disappeared).